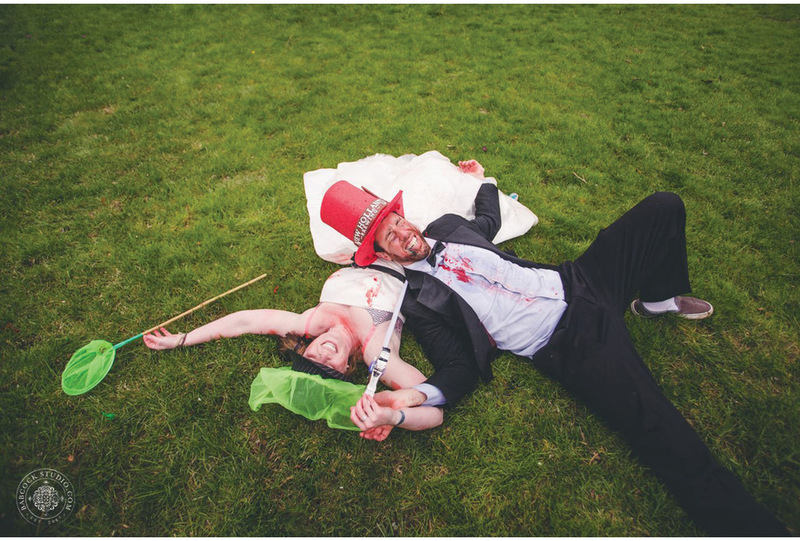 Hope and Ehud are my favorite kind of couple- funny, expressive, creative & a little crazy. It reminds me of myself! When I heard about their wedding shower plans, I begged to attend. This girls and boys wedding shower included a Mad Hatter theme dress code and yummy lunch and gifts. It then quickly turned into a zombie apocalypse where everyone cut holes in their clothing and did their best zombie makeup. They had an arsenal of water guns, red jello bombs, water balloons, arrows, and swords stashed in their yard. 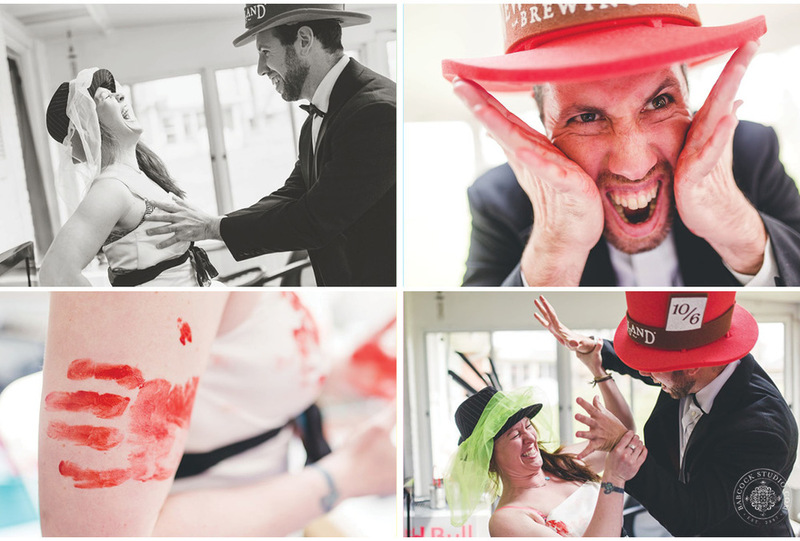 The Bride and Groom got a head start then a whole hoard of zombies followed. They fought to the death! Enjoy this visual craziness! Sarah Babcock Studio. Dayton Ohio Based photographer. 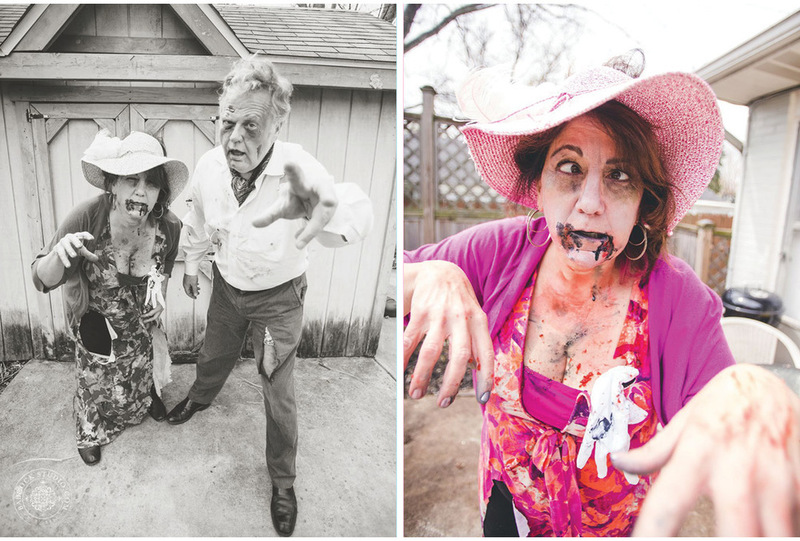 Zombie Wedding Shower.